Greater Imani Church and Christian Center is a non-denominational Christian Church of baptized believers who are associated by belief in the faith (imani) and fellowship of the gospel of Jesus the Christ. 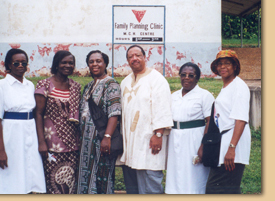 It was founded by our pastor, Dr. Bill Adkins, on November 1, 1989. With 29 people, Dr. Adkins began the work of organizing a 21st century working church, dedicated to uplifting the people of God both spiritually and temporally. To date, the membership of Greater Imani exceeds 6,000, making it one of the larger congregations in the Memphis area. 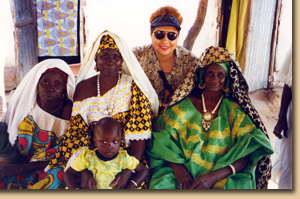 The church has helped establish medical missions in Kaolack, Senegal; Banjul, Gambia; and Kumasi, Ghana. It supports the S.O.S. Children’s village in The Gambia and has built a church in the village of Amenfrom, Ghana, outside of Kumasi. Locally and regionally, the church feeds, clothes and offers health care for thousands of mid-southerners. Numerous articles have appeared in local newspapers, and Greater Imani has been featured on the BBC (British Broadcasting Company) and NBC’s Dateline with Tom Brokaw. In addition, the television ministry of Greater Imani is seen across the nation and throughout the Caribbean, Canada and West Africa. In December 2001, Greater Imani Church and Christian Center purchased the Raleigh Baptist Church located at 3034 Austin Peay Hwy, Memphis, TN 38128. The new facility offered the opportunity to implement all of the ministries needed in this new millennium, especially considering the cadre of problems that are facing families today. This move was an opportunity to render an expansion of service to the people. With our 6,000 member congregation, the Raleigh Baptist facility offered us critical space for more education, counseling, and recreation ministries. Because the new sanctuary was slightly smaller, at about 1,000 seats, Greater Imani initially added a third Sunday service at 8 a.m., to its 9:30 a.m. and 6 p.m. services. At Greater Imani we practice “LIFE APPLICATION” theology. This means we believe that the word of God is applicable to our daily lives; therefore, we derive power and strength from the gospel. We assert that “We can do all things through Christ Jesus, Our Lord.” We are the 21st century mega church, dedicated to the teaching ministry, encompassing the Christian Center concept of holistic ministry. The harvest is still plentiful and the laborers are still few. There is work for all at Greater Imani, with no clicks, special groups or interests. We are all equal in the royal priesthood of believers.